UNIBEN GIST: IMPORTANT: ANNOUNCEMENT! ANNOUNCEMENT! ANNOUCEMENT! This is from the OFFICE OF THE PRO Students' Union Government HON. OGUCHE DIVINE OMALE. 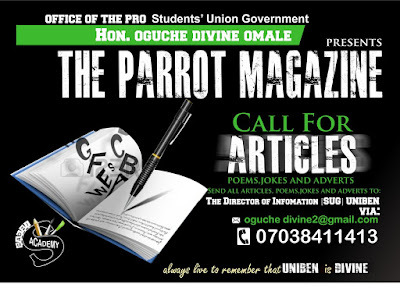 University of Benin that there is a call for Articles for those interested. 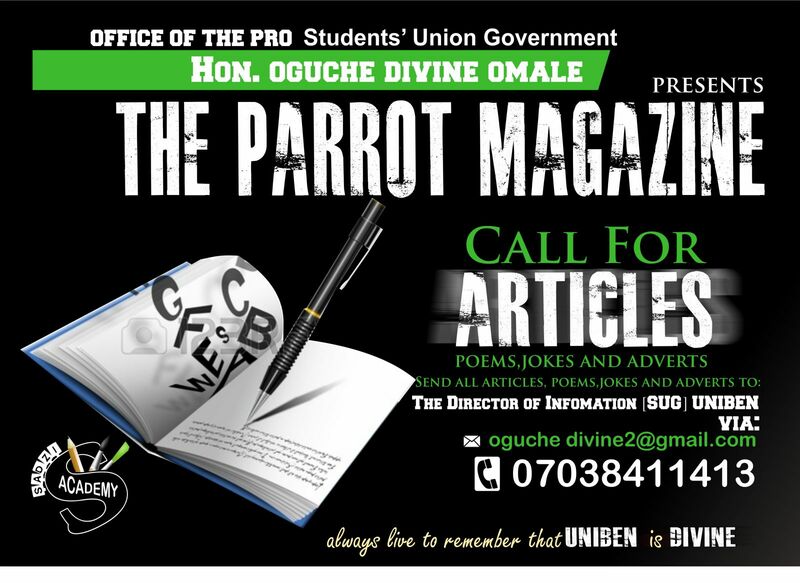 Articles are to be featured in THE PARROT MAGAZINE and it includes Stories, Poem, Jokes and adverts. All live to remember that UNIBEN is DIVINE.